Tomorrow is the school parade, and Danny knows exactly what he will be: a princess. Mommy supports him 100%, and they race to the thrift store to find his costume. It's almost closing time - will Danny find the costume of his dreams in time? 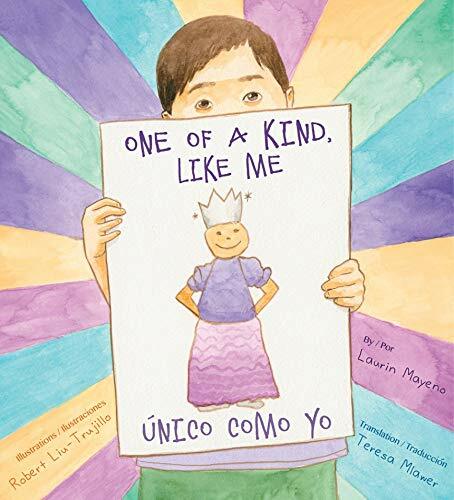 One of A Kind, Like Me / Único como yo is a sweet story about unconditional love and the beauty of individuality. It's a unique book that lifts up children who don't fit gender stereotypes, and reflects the power of a loving and supportive community. If you have any questions about this product by Blood Orange Press, contact us by completing and submitting the form below. If you are looking for a specif part number, please include it with your message.